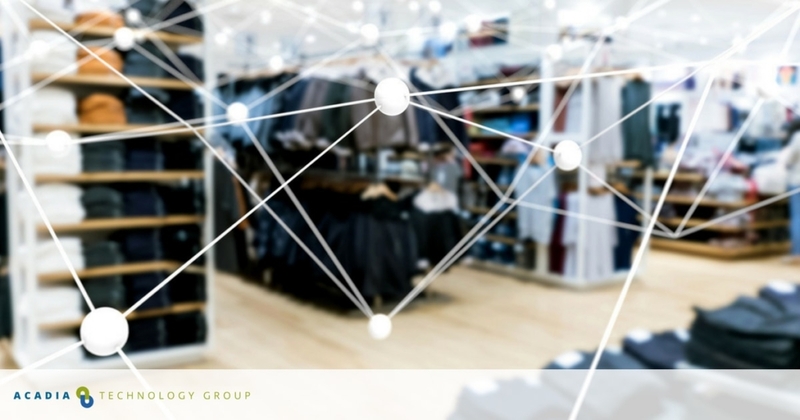 CIOs in the retail industry face many networking challenges ranging from WiFi and bandwidth needs across retail locations to omnichannel user experience connectivity demands. With the traditional network being pushed to the brink of its design capacity and agility, technologies such as SD-WAN for retailers can provide a strong foundation for growth and agile connectivity. For those looking at SD-WAN adoption, the question becomes how this emerging solution overcomes the numerous pain points that span security, resilience, and flexibility. While SD-WAN offers faster network management, predictable application availability, and overall higher quality of service, what does that mean in the retail environment? The answers lie in the big picture where your retailer pain points center around delivering optimal network performance across and within each individual retail location. SD-WAN gets rid of these pain points through dynamic and autonomous network traffic management based on traffic flow behavior. This makes it easy to eliminate manual configuration and rules maintenance for classifying and prioritizing applications across individual retail locations. It also provides smart, autonomous decision making on bandwidth needs and priorities in real time. In addition, it applies security protocols with cloud and local security measures creating a robust security policy across the entire dispersed network. When designed and implemented correctly, SD-WAN can deliver integrated next gen WiFi and connectivity solutions that redefine the digital retail experience and support operational growth in major ways. For retailers with multiple locations, it’s imperative to offer a wide range of options for buyers to engage with and purchase from the brand. Traditional WAN environments create traffic bottlenecks while requiring manual configuration of many functions that can easily be automated through SD-WAN. Less common, but emerging, retail technology includes virtual assistants and digital in-store catalogs. To effectively offer all of these capabilities, retail firms require centralized and automated management of network traffic. Some firms that are holding on to legacy WAN for network management depend on network engineers to manage traffic. For fast-paced and growing operations, this just isn’t a sustainable approach. Here’s why: With so many demands on the network for traffic coming from multiple locations and for a seemingly infinite amount of services, applications, and devices, network engineers just don’t have the visibility into network demands to provision traffic efficiently. Managing Costs of MPLS: The most common structure in-store/online shopping opens up the biggest risk for network failure. In light of these risks, some firms turn to MPLS. Though costly, it’s dependable. With SD-WAN, retailers have the chance to deploy QoS protocols for traffic to best manage network availability and its associated costs. Of course, some traffic should flow through MPLS, but not all. With SD-WAN, retail operations have the flexibility to pre-determine where network traffic should flow, effectively managing cost and providing a consistently high level of service. Streamlining Retail Network Infrastructure: Another downfall of legacy WAN is what some call “infrastructure sprawl” where single-function applications and devices crowd the network making branch network management a complex, difficult-to-manage endeavor. SD-WAN offers simplicity in structure and manages multi-location retail networks by reducing the need for single-function devices and applications. Retail operations can retire the most outdated portions of their network without degrading overall performance. Allowing Cloud Access for Applications: With traditional WAN for multiple locations, applications simply have no access to the cloud. This eliminates the opportunity for retail operations to experience the cost savings opportunities to introduce more agility into the network. SD-WAN frees retail enterprises from hub-and-spoke network design and gives firms the flexibility to create an even more customized configuration for network operations by removing dependency on a dedicated data center to manage the network. For retail operations looking to provide a consistent and high-quality experience for shoppers while creating a strong foundation for growth and innovation, the clear choice is SD-WAN. Starting the integration journey of retail and SD-WAN can best be accomplished by a detailed needs assessment and implementation plan. Success will hinge on gathering application and usage profiles as well as individual retail location networking and bandwidth needs. This will determine how SD-WAN can best augment or even replace MPLS, based on network traffic needs and priorities to lower circuit costs. In addition to assessing and preparing the network, organizations can assure maximum benefits of SD-WAN for retailers through a proof of concept approach based on targeted rollouts. This creates an improvement feedback loop before a wider rollout. For most organizations, having a partner like Acadia Technology Group to provide the tools, resources, technology, and expertise can be the foundation for fully leveraging the benefits of SD-WAN.